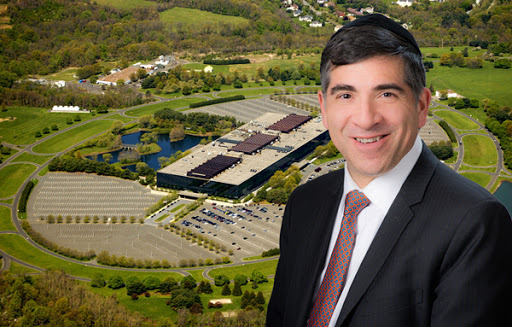 Somerset Development’s Ralph Zucker and the Bell Labs site in Holmdel, New Jersey. Co-working companies are gaining a toehold in suburban New Jersey, fed by demand from members who have left the corporate world and large companies who want to provide employees flexibility. While the co-working movement, led by industry giant WeWork, is established in cities across the world, it’s gaining momentum in the suburbs, the Wall Street Journal reported. The typical suburban shared-office facility is under 15,000 square feet, and is usually targeted at an older audience than those co-working locations that lure millennials with beer and ping pong. Like its urban brethren, co-working in suburban New Jersey is focused on community, but it’s also driven by members looking to shorten their commute and establish more of a balance between personal and work lives. And while there’s skepticism about whether co-working will last, New Jersey landlords are using the facilities as a way to pump life into more traditional suburban office projects. Vi Coworking made that pitch to Somerset Development LLC, the company behind the massive Bell Works redevelopment in Holmdel, once the country’s largest vacant office building.